Since its establishment, ScienceShop.at (the Science Shop established by SYNYO in Austria) has been working closely together with the national AAL (Ambient Assisted Living), IoT (Internet of Things) and Open Knowledge community with the aim of developing collaborations with stakeholders in the field of emerging technologies. The Science Shop has established synergies with a number of existing networks and initiatives, including the Citizen Science Network Austria, the Citizen Science platform SPOTTERON as well as the Open Knowledge Maps foundation. In October 2018, one of the Science Shop’s team members, Mag. 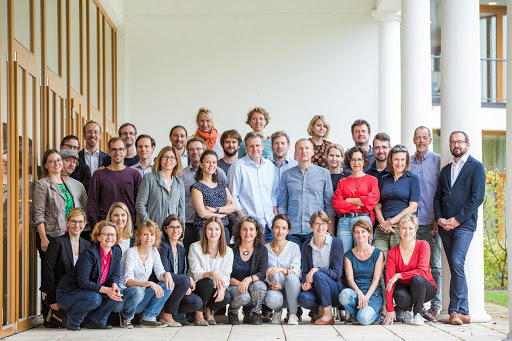 Diotima Bertel got the opportunity to participate in a large co-creation event, Idea Lab Mauerbach, (info only available in German) that had a strong focus on human-machine interaction and digitisation of the workplace. 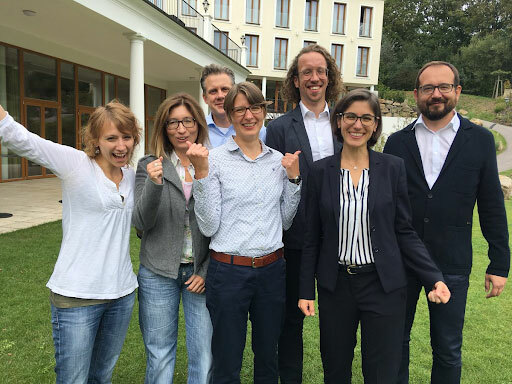 The Pilot Call Idea Lab 4.0 provides a novel approach for generating and implementing cooperative projects in interdisciplinary consortia in Austria. 112 applicants applied to participate in the five-day event, from which an international jury selected just30 finalists. The heterogeneous group, which brought together expertise from more than 50 different disciplines, consisted of representatives from different public and private organisations, local stakeholder groups and community organisations. During the first part of the event, participants were mixed in different groups to discuss existing societal problems, which had previously been identified by local communities. In the second part, groups were formed around new research project ideas to explore ways to improve working conditions and environments with the use of novel technologies. The groups consisted of representatives from academia, community organisations, business actors and public institutions. One outcome of the event is SMARAGD, a new Science Shop project. It aims at developing an example of a system for the intelligent aggregation and visualisation of patient data in line with the needs of occupational therapists and physiotherapists, meeting legal and factual requirements, and to provide a technical proof of concept. Applying a co-design approach, a process-accompanying and result-oriented evaluation of the suitability of the developed SMARAGD system for everyday use will be carried out by involving affected groups at all stages of research and development. In addition, the legal framework for the development and application of an intelligent system for data aggregation and visualization will be identified, clarified and presented. The developed SMARAGD solutions can be taken up and subsequently implemented or further developed for different groups of health professionals. The results of the project are to subsequently contribute to the improvement of the human-computer interface and thus to the improvement of general working conditions. More details on this exciting new project coming soon.